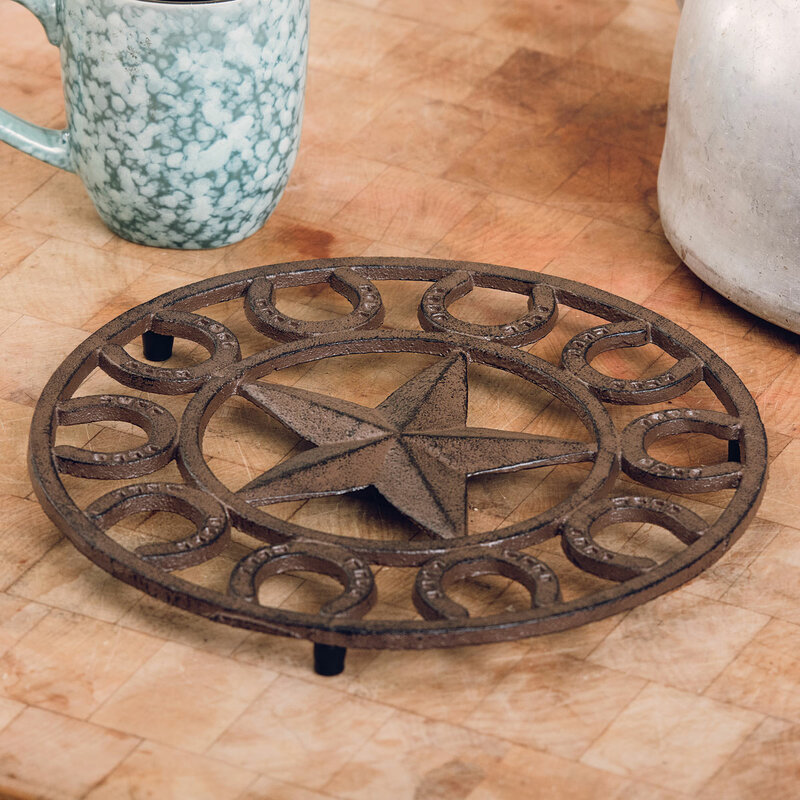 A Lone Star Western Decor Exclusive - A lone star cutout surrounded by a horseshoe border gives this cast iron trivet classic cowboy style. 10"Dia. x 1/2"H.